With family roots going back three centuries, the Despagnes know a thing or two about Bordeaux. The estate as we know it today dates back to 1875 when vines were planted by the Constant-Pineau family, and it was replanted by Louis Rapin and expanded upon by Gerard Despagnes to its current size of 40 hectares, 32 of which are under vine. Nicolas Despagnes is now at the helm of the estate and has worked tirelessly to obtain organic certification (Agriculture Bio and BioCoherence in 2008 and 2010, respectively) and ultimately biodynamic certification by Demeter in 2013. The vineyards, which average 45 years of age, mostly planted to old varieties of Merlot and the rest Cabernet Franc, are situated on the gentle slopes of the plateau in Montagne, Saint-Émilion, Pomerol and Libourne. The soils here are clay-based, and provide the best raw material possible to make the classic wines of the region. As previously stated the are farmed with the strictest organic principles, with harvesting done by hand. Vinifications here are straightforward and no-nonsense compared to more “modern” estates in Bordeaux, with native yeasts carrying out all fermentations in tank before being racked into a combination of new and used oak barrels where the wines rest for up to 18 months depending on the cuvée. 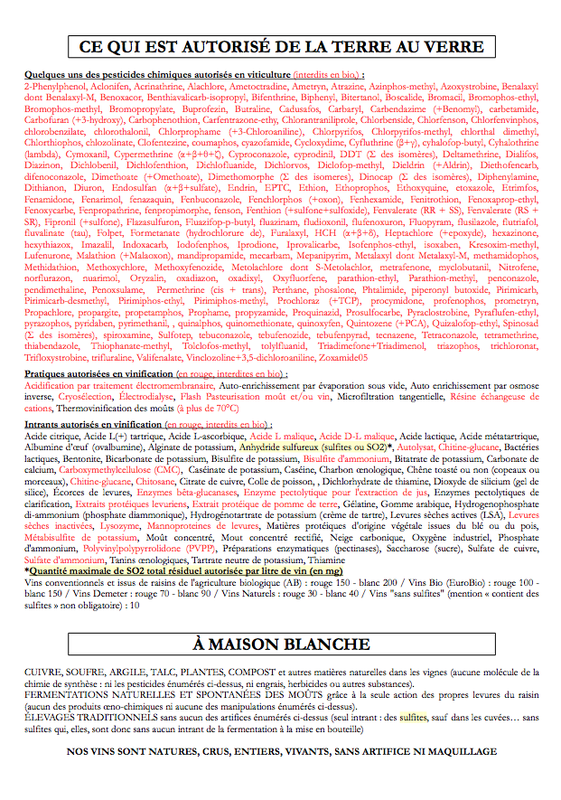 Very little sulfur is added. 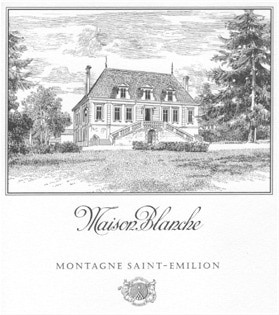 Their flagship label, Maison Blanche, is a blend of Merlot and Cabernet Franc from old vines with incredibly low yields. It ages for 18 months in barrel before being bottled with very little sulfur. This is serious and structured without being too heavy and has the stuffing for cellaring. A second label from estate fruit, Le Colombier de la Metairie, is sourced from younger-vine Merlot and Cabernet Franc and rests for 15 months in a combination of cement vat and barrel. Much more fresh and supple, this is a wine that can be enjoyed thoroughly in its youth but would reward medium-term aging. Nicolas also makes a wine simply named Old French Claret. This is a serious vin de soif made from Merlot and Cabernet Franc with a very short maceration time (it is translucent red in color) that is fermented and aged entirely in cement with no SO2 added at any time. These are wines of terroir and do not give in to modern tastes. They age beautifully and, as we were lucky enough to find out, have a large cache of wines from older vintages available to us. Please inquire to see what is available.